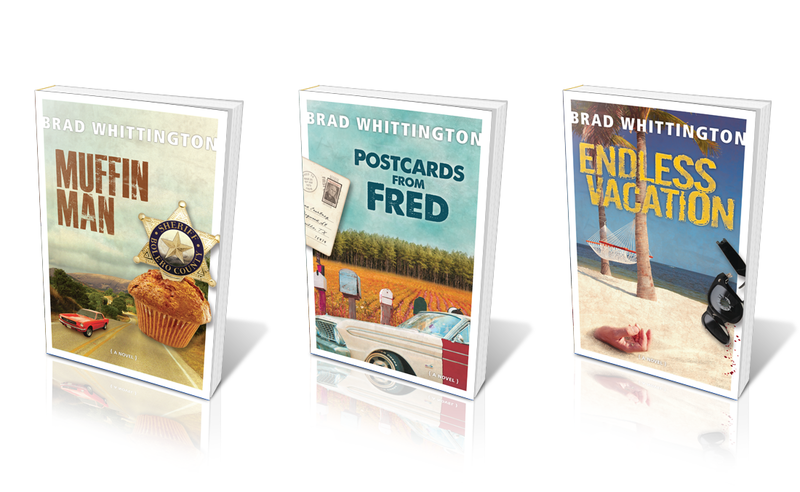 Various book covers for novels by Brad Whittington. 2012-2013. He had an established look for his previous covers (white border, font, grunge effect) that the new covers had to coordinate with. Heavy Photoshop work on all of them, merging separate photo elements. 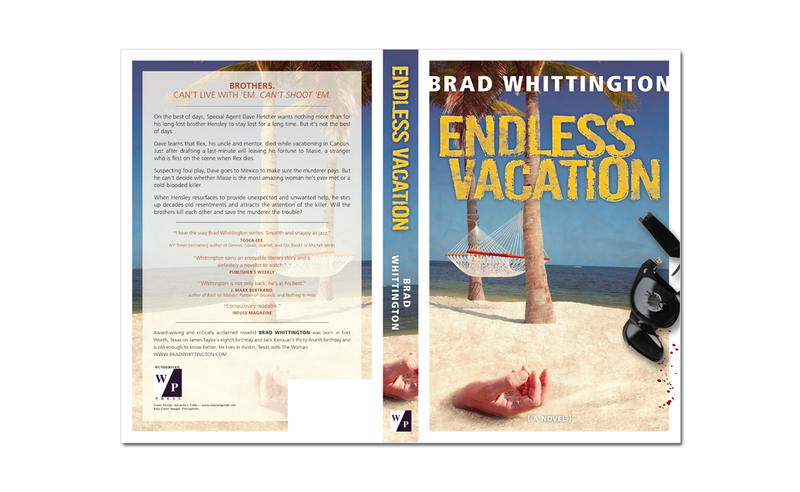 Endless Vacation is a murder mystery set in Mexico. 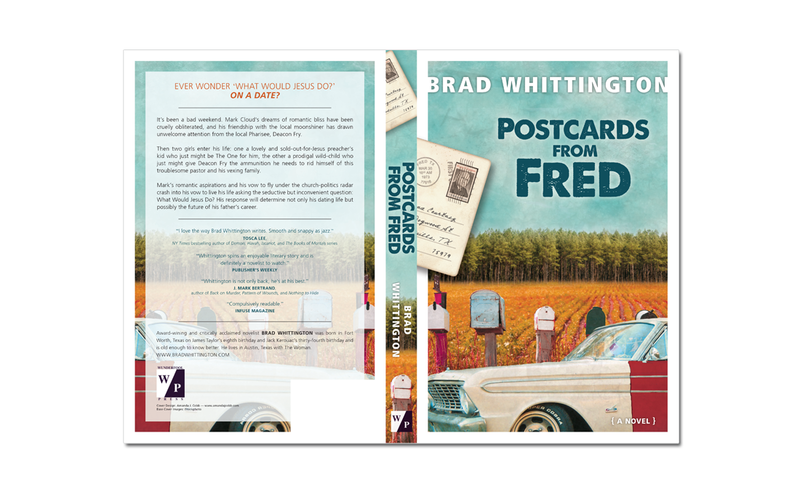 Postcards from Fred is the 4th in a Christian fiction series set in Texas. 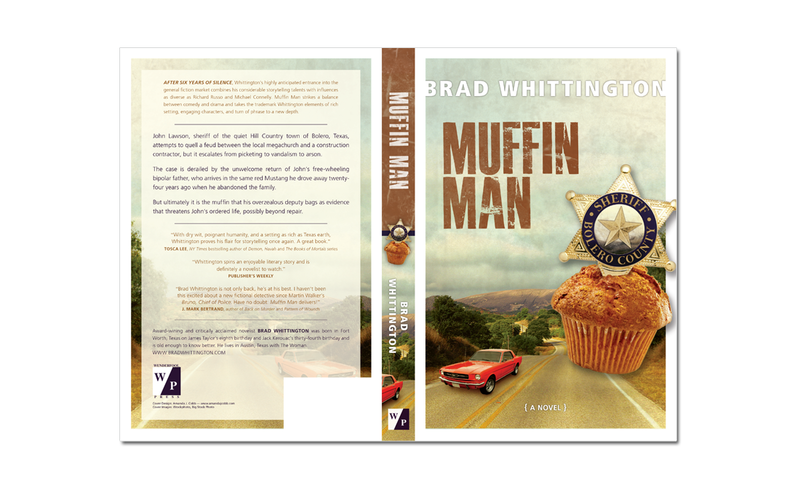 Muffin Man is a mystery with a bit of a surreal kick.